The Intentions “Dancing Fast Dancing Slow” was licenced from Kent Records US and was recorded in 1966. I have not been able to find a line up for this group. The record has been subsequently re-released on a number of compilation albums. 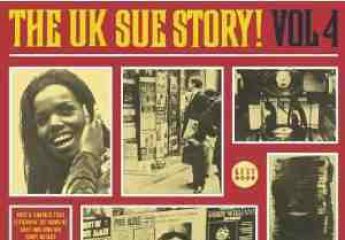 On Sue, the single shared an EP with a ZZ Hill single from the same source. A group called The Intentions also recorded for Jamie Records of Philadelphia but it is not known if it is the same group.